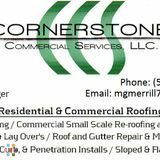 Commercial & Residential Roofing & Gutters. Leak repair Specialist!Commercial & Residential Roofing & Gutters. Leak repair Specialist!Commercial & Residential Roofing & Gutters. Leak repair Specialist!Commercial & Residential Roofing & Gutters. Leak repair Specialist!